No one would be unaware of the name Apple has given to its series of laptops, the MacBook, widely noticed and very popular in demand, but the important details of the new 12-inch version contains should be also well known. Macbook is made for high performance computing with a unique fan-less design, passive cooling techniques and many more cool things. The graphics is handled by Intel HD Graphics 5300 basic GPU, 8GB RAM by default and has an option to choose between 256GB and 512GB models of flash storage. There is a lot in the 12 inch Macbook 2015 from Apple in terms of features, specs and style elements to show and discuss. 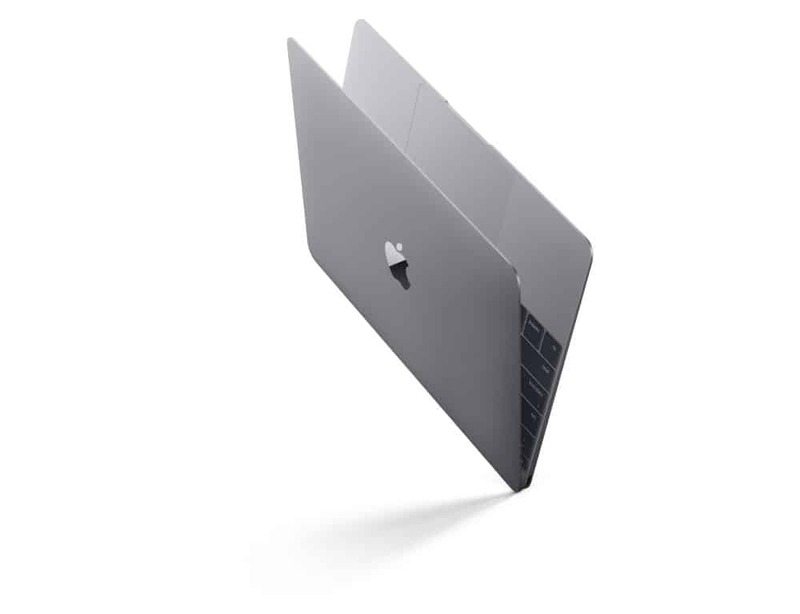 Though not in comparison or in replacement to the Macbook Air or the Macbook Pro, this is a new addition to the list of macbooks by Apple in its store. It has a 12-inch ultra high definition resolution display and is light weight with thin body structure specially designed to target another set of an audience for this set of details. You may purchase this new 12-inch version at starting price of $1299 and that is a big good price to spend. The pixel resolution of 2304 x 1140 boasts its display screen of 12-inch diagonal size. It is a 16:10 aspect display just as in MacBook Air and Pro. Apple claims to have low power consumption along with touching higher brightness levels by raising the aperture of each pixel. It is made out of aluminium, claiming the same strength as in Air and Pro. It features butterfly style mechanism with response across the entire area of each key. Keys are illuminated with LED giving even backlighting to use it at night or in low light areas beautifully. 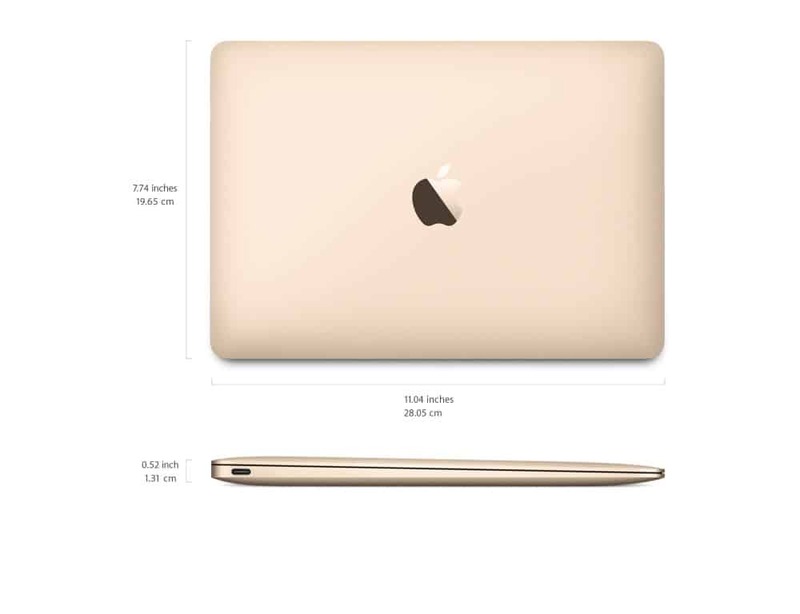 While having the same unibody design as of Air, it is thinner, lighter and smaller. It has 13.1 mm of width and 0.92 kg of weight. These numbers make it easy to carry it on the go. 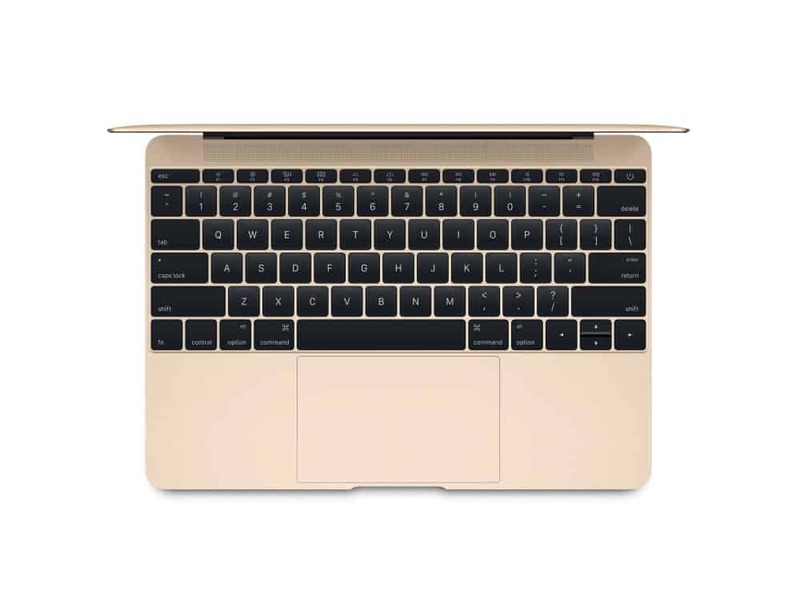 The 12-inch MacBook comes in three colours, Gold, Silver and Space Grey. Or logicboard in Apple’s words. This new Macbook has the smallest motherboard developed till now. It became possible because of the small 14-Nm power conservative Intel Core M chip which does not need a fan to maintain cool. Besides saving space on the cooling fan, the PCB is designed with the highest density of components on it. The new operating system integrated with iOS has a choice of traditional MacOS. OSX is easier to use along with a number of great apps. The addition of haptic engine to its glass trackpad sends haptic response to the user’s fingertips. The touchpad with Force Touch sensors not only sense the tap but also the pressure of that tap. This new design helps in making 35% more battery capacity. Custom terraced battery pack is replaced over conventional rectangular battery pack and so it claims 8 to 10 hours of battery life similar to the Air and Pro models. Apple made it use single wireless USB type-C port with an audio jack and no other ports for HDMI, VGA or display. Customers would need extra accessories as suitable, but those extra accessories really cost them a bit. This is something that would let any apple fan turn off. This article was published in Technology and tagged Apple, Mac, MacBook.